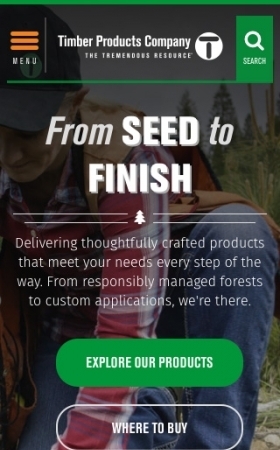 With 114,000 acres of forestland across the nation, Timber Products offers a diverse range of wood products and is one of the largest manufacturers of hardwood plywood in the United States. Timber Products approached Adpearance for an overhaul of its digital presence to better serve its customers, express its brand, and drive conversions. We accomplished this by creating a fully responsive website innovative in approach, design, and content. With help from FPW Media, we brought video, photo, and editorial content together to show the heart of the Timber Products brand and values on every page. The website design smartly organizes product details and uses intuitive navigation to encourage discovery and capture the breadth of the company’s products. In addition, easy-to-use features, including an interface for a sample program and a fully optimized distributor locator, promote user engagement. 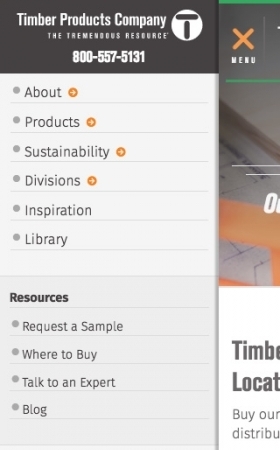 In addition to designing its new website, we developed a content strategy to expand Timber Products’ reach through multiple mediums: newsletter, social media, and blogging. 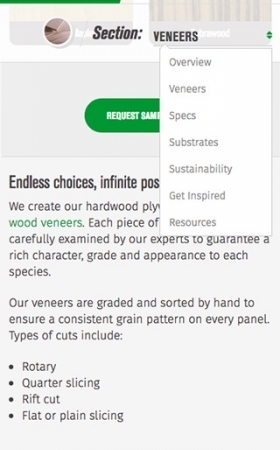 Informative and compelling content helps readers feel more connected to Timber Products. This, combined with a user-friendly website, delivers an elevated experience of the Timber Products brand. A dynamic homepage video follows the company’s wood products from seed to finish, capturing its integrated manufacturing practices. Rich visuals are woven throughout the website. 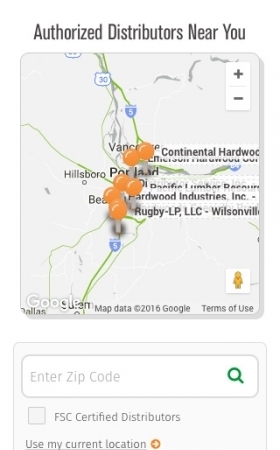 A fully optimized dealer locator drives engagement and conversions. Like what we did for Timber Products?